His birth could not have been more humble, more anonymous–in a manger, for there was no room at the inn. Of their social network, only Elizabeth, Mary’s elderly cousin, confined by pregnancy, and married to the priest Zechariah who was temporarily dumb, had been told. But everything was in the hands of God who loved Jesus, his son who would teach us to see differently, to think differently, and to live differently. 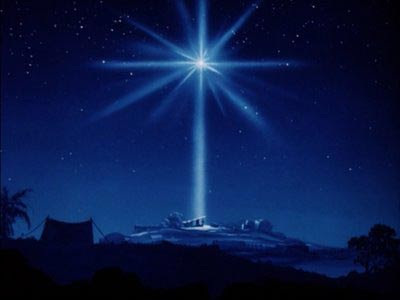 And so God splashed a new star in the sky, luring Magi, wise men from the east, astrologers and astronomers to Bethlehem, bringing news of the birth to King Herod. Shepherds heard angels sing of it. The good news crossed national, ethnic and socio-economic boundaries; it reached the rich and the poor, the wise and the powerful. The King heard of it, the priests heard of it, the army heard of it, the scholars heard of it, the shepherds heard of it. While Mary and Joseph quietly went about their own business, telling no one about their marvellous child. God brought about all the connections Jesus needed. We live in a harried world of self-reliance, in which we can feel that everything depends on us. We are told that new media—blogging, tweeting and Facebook– has eliminated the old gatekeepers; that now anyone can socially network their way into success, fame, and influence. Right! To the old imperative of doing the work, we’ve added the new imperative to network to get our work out there, to get the word out. And all this makes us busier and more tired. But, oh man and woman loved by God, the one whose birth we are celebrating offers us rest. Do your work peacefully, and leave your PR in the hands of a very clever God, who used stars and angel song so that, within days, the news of the birth of his son went viral. He will be more creative than you could ever imagine. At the end of this year, we cannot do better than to put our work, our lives, and our futures into his hands who promises us joy, peace, and answered prayer. And to do so is exciting, for he specialises in surprises. A new star in the sky: who would have thought of it? I am entrusting my life to him today. So encouraged and blessed by this post and the reminder in it that the Lord knows how to promote those who do His work and make it known. Indeed. We cannot do better than to leave our PR and lives to him! A lovely post bringing peace at a rushed time. God revealed He is my patron, so why not trust the PR to Him? Thank you for writing this, now. Thank you. He does have different levels of fame and success in mind for each of us, according to our ability to endure it… and part of trusting our PR to him is accepting that! I love the analogy about the news going viral. Thanks for sharing, Anita! Thanks, Ang. How’s the Ph.D going? Just the reminder I need…daily! 🙂 Thanks, Anita, and Merry Christmas! Julie, thanks. “Just the reminder I need…daily!” Me too–partly why I wrote it.